Lying along the border with China, in mountainous Northwest Vietnam, Lao Cai Province has a long history as an important trading center. For centuries the Chinese, Vietnamese, and minority ethnic groups fought for control of the region. In 1463 the Vietnamese gained the upper hand and proclaimed Lao Cai as the capital of their northwestern frontier. In 1889 it fell under French Colonial rule and would remain so until the French withdrew from Northern Vietnam in 1954. Unfortunately, Lao Cai took the brunt of the 1979 Chinese invasion and subsequent border war. Although the war lasted less than one month, the provincial capital, Lao Cai City, was leveled and the border between the two nations was closed for many years. In 1993 the border was reopened and at the same time Vietnam opened its doors to foreign tourists. 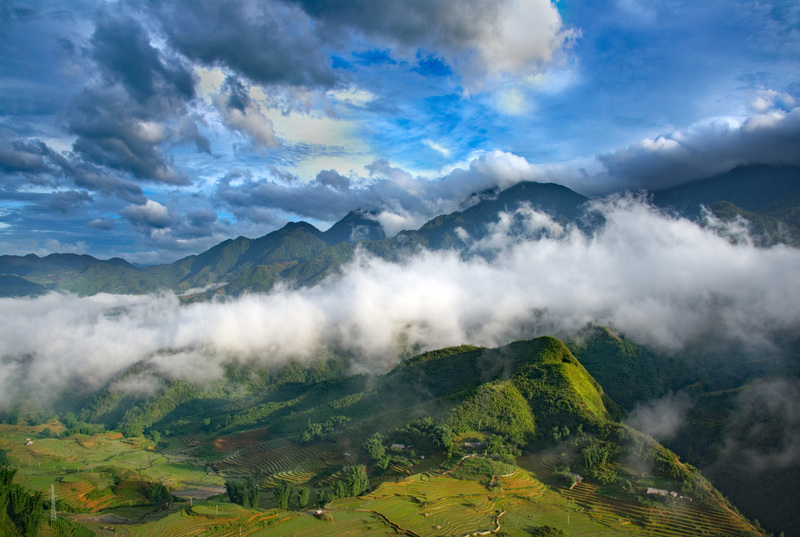 Today Lao Cai Province is a major tourism destination for the Vietnamese, Chinese and travelers from around the globe. This is rural Vietnam at its best, free from shopping malls and chain restaurants; Vietnamese people flock here in mass to escape Hanoi’s brutal summer heat and humidity. Most Westerners come to this part of the country to trek through the area’s lush hills and valleys and visit remote villages inhabited by Vietnam’s minority ethnic groups. Over 65% of Lao Cai Province’s population is composed of ethnic people that once migrated south from China. Of the more than 20 different ethnicities living here, the largest percentages are the Kihn, Hmong, Tay and Dao. The villagers further differentiate themselves from one another by wearing clothing of specific color or patterns. For example, the Flower Hmong are easily identifiable in their bright clothing adorned with flower patterns. These ethnic people are principally subsistence farmers whose habits and customs have changed little in hundreds of years. 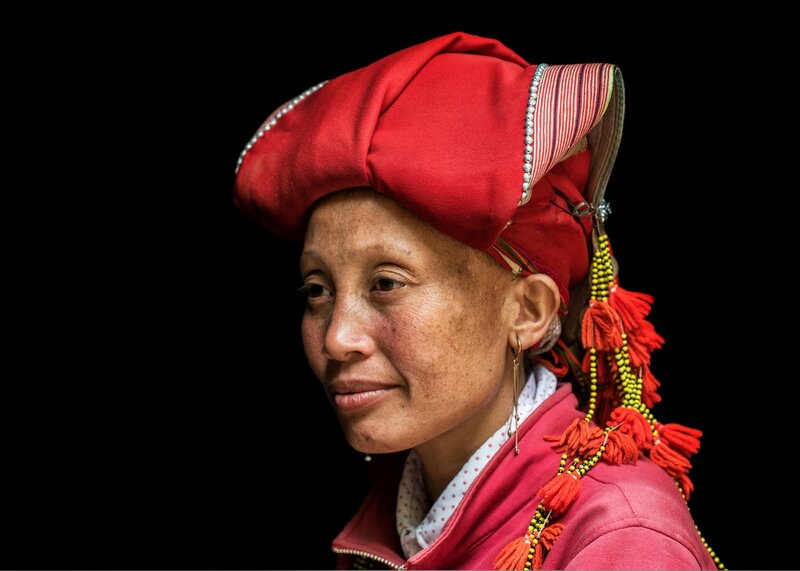 To supplement their meager incomes, many villagers produce and sell handicrafts or work as trekking guides. Lao Cai Province does not have an airport but can be easily reached by train, bus or car. Lao Cai City, located 180 miles (290 km) from Hanoi, is the Province’s main transportation hub. The small and modern city is not a tourism destination itself; most visitors only stop here on the way to other well traveled destinations such as Sapa and Bac Ha. 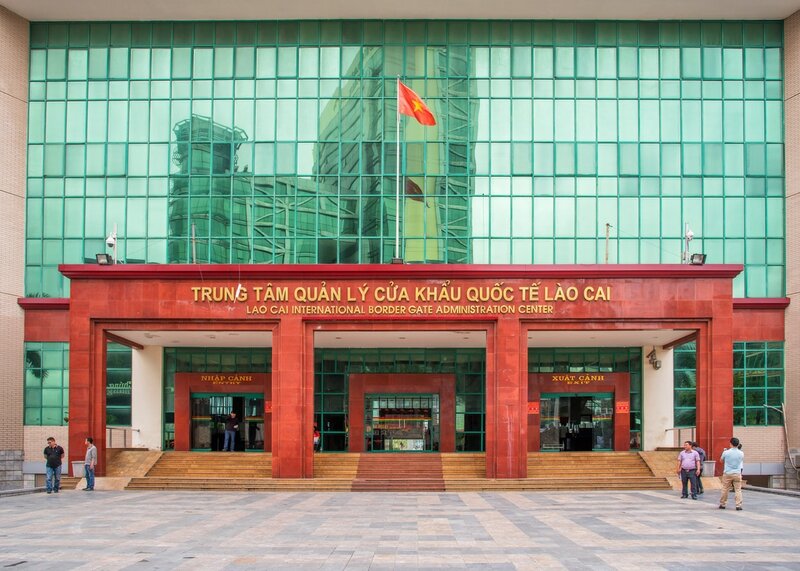 Hanoi and Lao Cai City are connected by a railway line that was originally constructed by the French in the early 19th century. Four trains depart Hanoi daily for Lao Cai, the most popular and fastest being the overnight services which make the journey in roughly nine hours. Some people feel that traveling by train is safer than riding by bus or car over the area’s steep and narrow mountain roads. The train is also the least expensive option with the additional bonus that utilizing the overnight service saves the cost of a hotel room. Train tickets can be purchased in advance at train stations, travel agencies or online through the Vietnam Railways website. Another extremely useful website for planning train travel in Vietnam and all of Southeast Asia is the Man in Seat 61.
traveltoasiaandback.com - The public bus, the cheapest transportation option between Lao Cai City and Sapa. Lao Cai City is the regional bus transportation hub in an area where busses play a vital role. Like many rural areas in Southeast Asia, busses are not only used to transport people, but serve to transport cargo as well. 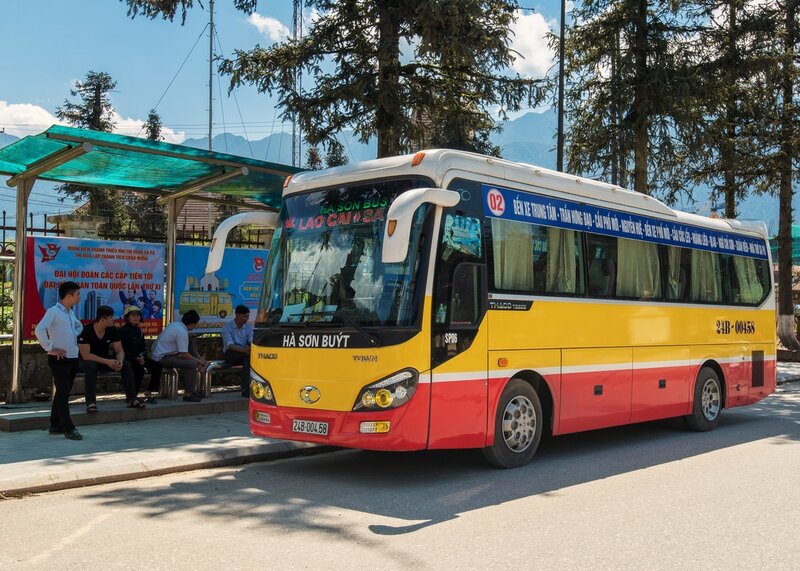 There are numerous public and private bus companies that travel to and from Lao Cai. Some popular destinations of interest to travelers include; Bac Ha, Dien Bien Phu, Ha Giang, Hanoi, Lai Chau, Sapa and Son La. Lao Cai City is a gateway to southern China’s Yunnan province. From Hekou travelers can reach a number of popular destinations including the provincial capital Kunming by either bus or train. The border between Lao Cai City and Hekou China is open daily between 07:00 AM and 10:00 PM. It should be noted that China does not offer visa on arrival; a tourist visa must be affixed in one’s passport prior to arriving at the border. Chinese tourist visas are available through the Embassy in Hanoi. Interestingly, the city’s most popular sight seeing attraction, at least with Vietnamese tourists, is the Chinese border. A small park located at the Đền Mẫu pagoda affords a great view of the gateway to China and appears to be a mandatory stop on all local bus tours.